I sent out the per-usual agent queries in the hope of getting a traditional publishing contract. I did receive a positive response from an agent who essentially provided me with very direct and specific editing changes. I worked for another six months editing and revising, then re-submitted. However, the agent declined. So, my manuscript went for a brief vacation in the desk drawer and I pursued other necessities of life. It was my husband who encouraged me to send the manuscript to an editor in Auckland (I live in New Zealand). After an in-depth perusal of my work, he encouraged me to self-publish. He completed a full copy-edit and helped me find a formatting editor. I'm an English major and former English teacher. I did huge amounts of self-editing. Also, my editor and formatting editor were invaluable during the proof stage. We sent numerous copies back and forth. Since its publication, I have discovered an error...the unfortunate misspelling of one of the minor character's names! I'd be honored if you would take a look at my novel, The Song Journey. It is a story of a singer's journey through music and time. At the heart of the novel is a love story, but not in the typical genre of love stories. Thanks for letting me pitch to you! Originally submitted on: May 16, 2016. 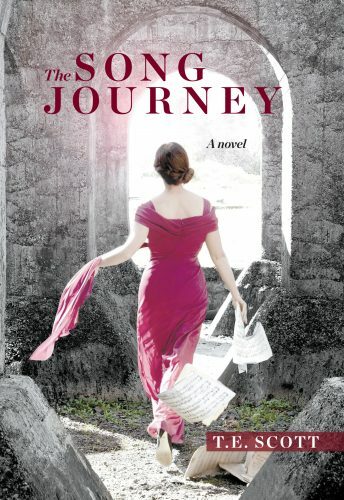 The Song Journey is the story of the young singer, Julia MacAllistair, who, after inheriting a box of sheet music from her famous great-grandmother, finds herself on an unexpected journey into the past. Julia’s travels take her into places as varied as turn-of-the-Century Chicago to the canopied jungles of the Vietnam War and even as far as the steep Southern Alps of the young island nation of New Zealand. As each piece of music propels Julia into a different time and place, Julia must determine the purpose of her journey and how to return to her present-day life. Along the way, she meets some extraordinary people who teach her about love, loss, and the role of the artist in modern society. As Julia discovers, it is not only a physical journey, but a journey of the self. Julia MacAllistair, a young singer, had always believed in the power of music. But she never imagined that music could literally take her places–that is until she played the music in the box. Will Julia ever see her home again? Can she return from her Song Journey?